The board runs out [Js][Tc][6s][Th][Kc] and Maglio makes trip tens to win the pot. 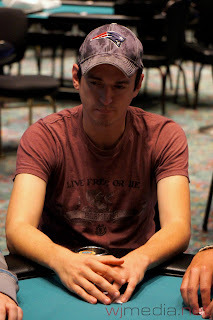 Jonathan Jaffe is eliminated in 5th place for $8,477. Professional railbird Rob Brown at the $1,000 No-Limit final table. The board comes [Ad][8d][3s][3c][9c] and Maglio takes the pot with his jack kicker. 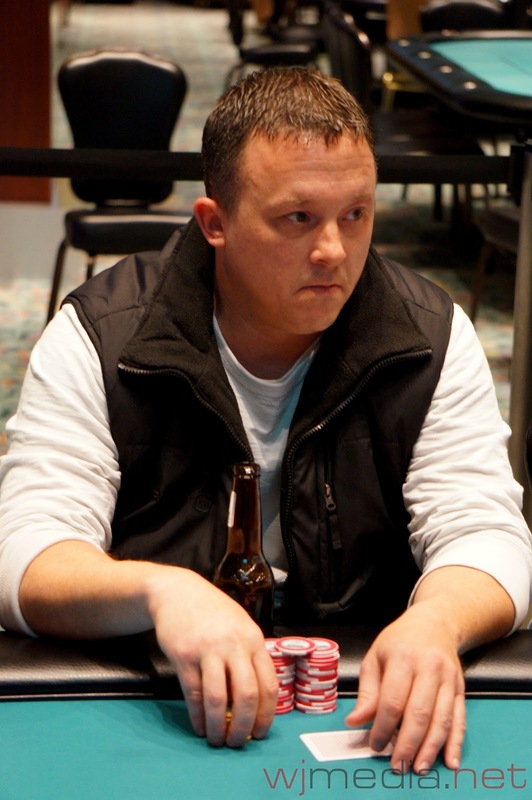 Jack Densing is eliminated from the $1,000 No-Limit Hold 'em event in 6th place for $6,451. 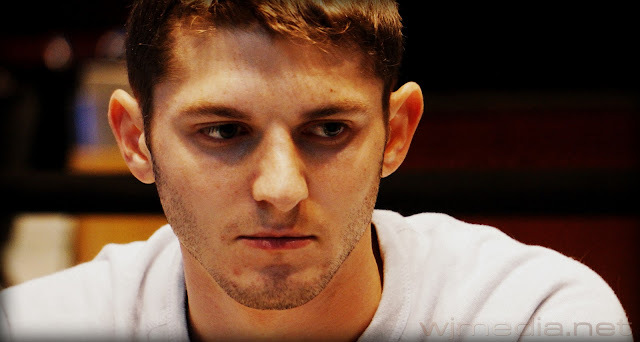 Jonathan Jaffe raises to 40,000 before the flop and is called by Steven Rodriguez. Vinny Maglio then three-bets to 118,000 and Mark Ferrari moves all-in. The board runs out [5d][3s][2d][7s][6h] and Maglio's Ace-King high holds up. 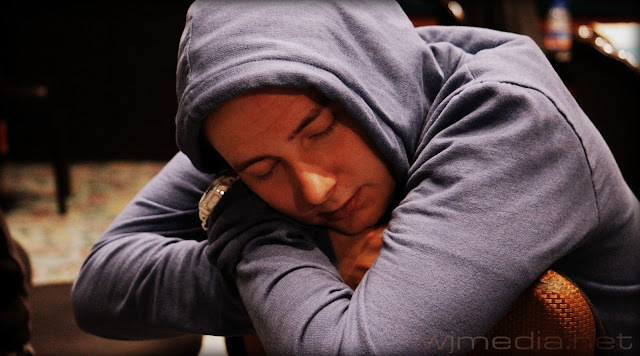 Ferrari is eliminated in 7th place, taking home $4,980. 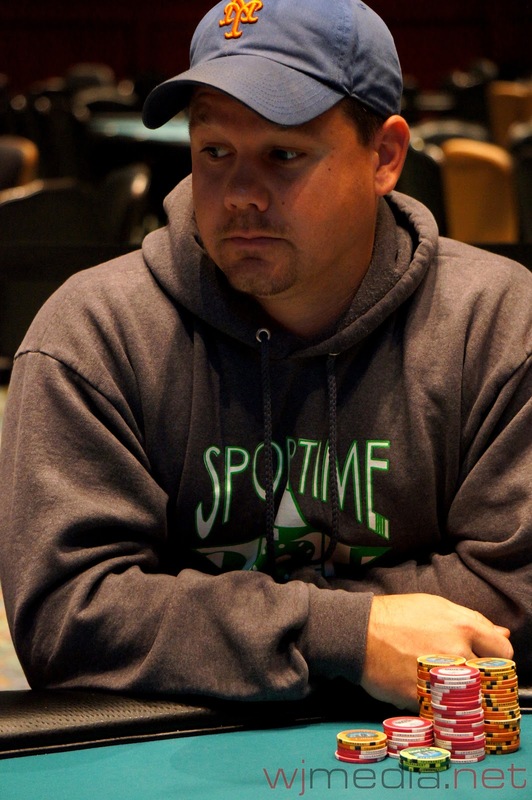 Vinny Maglio now has well over 800,000 chips. Tom Demorro limps in from under the gun for 16,000 and Steven Rodriguez raises to 45,000. Demorro calls and the flop comes [Td][6d][3s]. Rodriguez flops a set but Demorro has the nut flush draw. The turn is the [Ks] and the river comes the [2c]. The set of Rodriguez holds up to win the pot. 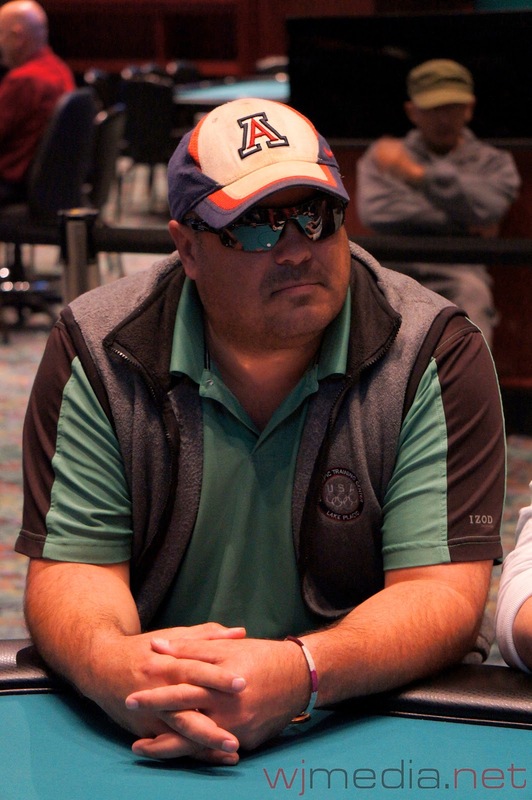 Tom Demorro is eliminated from the $1,000 No-Limit Hold 'em event in 8th place for $3,918. 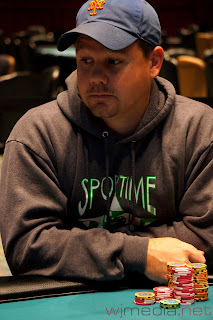 On a board of reading [Ks][Td][7s][9d], Steven Rodriguez bets out and Michael Paul moves all-in. The river comes the [Kc] and Rodriquez improves to a full house to win the pot. Paul is eliminated in 9th place, taking home $3,116. The eight remaining players at the final table are now on a one-hour dinner break. The board runs out [Qh][9h][6h][5s][9s] and Demorro takes the pot. Clancey is eliminated in 10th place and takes home $2,533. We have reached the final table of the $1,000 No-Limit Hold 'em event. 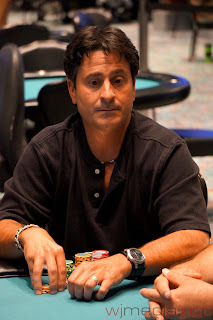 The money bubble hand of the $1,000 buy-in No-Limit Hold 'em event at the 2012 Foxwoods World Poker Finals. All players are now guaranteed at least $2,088. Day 2 of the $1,000 No-Limit Hold 'em Now Streaming Live! The final day of the $1,000 No-Limit Hold 'em event at the Foxwoods World Poker Finals is now streaming live. The blinds are currently 1,500-3,000 with a 400 ante. There are 27 players remaining.